This retro classic is insanely tough, but worth checking out. Remember the old NES days? Back then, games were incredibly tough. 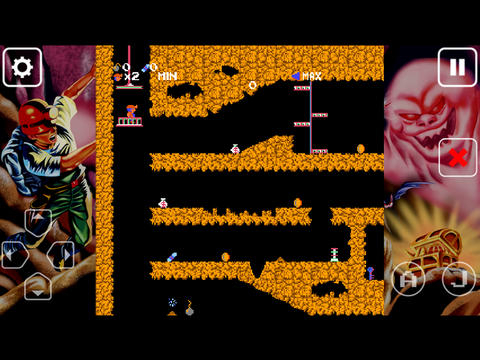 One that stands out is Spelunker, an exploration/platforming game where death was literally at every turn if you didn't know what you were doing. Well good news, mobile fans - those days are back. Tozal Games announced that it released Everyday Spelunker for iOS devices. The game is a port of the classic NES version, but reconfigured with touchscreen controls. It also features some helpful add-ons, such as a "rope assist" tool to get you through tougher parts of the game, as well as endless continues. The main game is available now for $3.99, and two additional episodes, Episode 2: Deep Into Another Mine and Episode 3: New Challenges, are available for $0.99 apiece. Everyday Spelunker will release soon for Android at a later date.